Regardless of whether you’ve been recently diagnosed or have struggled with it for years, social anxiety disorder (SAD) can be debilitating and frustrating. If you or someone you love lives with social anxiety disorder, social interaction can feel overwhelming and insurmountable. Some days, it can even be difficult to leave the safety of your home. If you are interested in exploring alternative methods of treatment, medical cannabis may be the answer. But before we explore the potential of medical marijuana, let’s go over the basics of SAD and its symptoms. Social anxiety disorder goes far beyond simple shyness. For people with SAD, social interaction comes with severe anxiety. They often feel stress and worry about judgment for others, even if that judgment only exists in their mind. Social anxiety disorder creates an intense fear of being embarrassed, humiliated or ridiculed, especially in public or performance-oriented settings. This intense fear and aversion of social situations lead to a general withdrawal from everyday life. For someone with SAD, their anxiety interferes with daily routines such as school or work, making normal life painful and stressful. Social situations, like being introduced to a stranger or being the center of attention, can be debilitating for someone with social anxiety disorder. SAD is considered a chronic disorder, one that does not typically go away on its own without treatment. Environment: Some researchers suggest that social anxiety disorder may be a learned behavior. If you are raised by a parent who exhibits SAD behaviors, you are at a higher risk of developing social anxiety. Another trigger may be experiencing a particularly embarrassing social situation. Inherited traits: Anxiety disorders often run in families, but researchers are still trying to determine whether or not this is due to inherited genes or just learned behavior. Brain structure: The amygdala structure in the brain may contribute to social anxiety disorder. The amygdala helps to control the fear response, and if it is overactive or malfunctions, people experience a heightened fear response. Social anxiety disorder is much more common than people think — affecting roughly 10 million Americans, it is the third most common mental disorder. According to government research, seven percent of the population deals with SAD at any given moment, and if you are American, you have a 13 percent chance of developing social anxiety disorder at some point during your lifetime. The exact combination or intensity of symptoms is different for every individual, and just because you don’t experience every listed symptom doesn’t mean that you don’t have an anxiety disorder. For proper diagnosis, consult with a certified mental health professional. The standard treatments for anxiety disorders combine therapy and medication. Cognitive behavioral therapy (CBT) is the most common form of therapy for patients with anxiety. Also called “talk therapy,” CBT involves meeting with a therapist and talking about your thoughts, behaviors, and feelings. The goal of CBT is to help a patient recognize and address negative and false ideas. As wrong beliefs are acknowledged, the therapist helps the patient cope and manage their responses. The standard anxiety medications fall into one of five categories — antidepressants, buspirone, benzodiazepines, hydroxyzine, and beta-blockers. Each category comes with a list of specific drugs, and each carries its own benefits and risks. According to the American Academy of Family Physicians, the most commonly prescribed medications for anxiety disorders are antidepressants. Selective serotonin reuptake inhibitors (SSRIs) are especially common. Examples of SSRIs include Prozac, Celexa, Zoloft, and Lexapro. While anxiety medications are helpful for some patients, others are left with a host of negative side effects and few results. Current research suggests cannabis is an effective and holistic treatment alternative for social anxiety disorder. But before we go into the specific ways that marijuana helps SAD, we need to explore the nature of marijuana and how it interacts with our bodies. The human body has a natural system called the endocannabinoid system (ECS). The ECS helps the body maintain homeostasis, responsible for a variety of regulatory processes including appetite regulation, metabolism, memory, communication between cells and immune response. The ECS has two different types of receptors — CB1 and CB2. While CB1 receptors are primarily centered in the spinal cord and brain, CB2 receptors are found mostly in the immune system. That’s where marijuana comes in. The cannabis plant is filled with chemical compounds called cannabinoids. When you inhale or ingest marijuana, these cannabinoids enter your bloodstream and bind to the ECS receptors throughout your body. But not every cannabinoid produces the same response. For example, the two most abundant cannabinoids in weed are tetrahydrocannabinol (THC) and cannabidiol (CBD). THC binds to the CB1 receptors in the body and primarily affects the nervous system — this is the compound responsible for the euphoria and famous “high” feeling of marijuana. Alternately, CBD binds to CB2 receptors, giving the beneficial health effects of cannabis without any psychoactive side effects. Since cannabis interacts with the ECS, it directly impacts many bodily systems, including the ones affected by social anxiety disorder. Cannabis has similar chemical components to standard anxiety medication. For example, consider one of your body’s many neurotransmitters, called GABA. This specific neurotransmitter helps balance anxiety levels throughout the body, and many of the commonly prescribed anti-anxiety medications target GABA. New research shows that cannabinoids, especially CBD, also change the activity of GABA in your body. This could make marijuana just as effective, if not more effective, at managing the levels of anxiety in your body than other standard pharmaceuticals. What Symptoms of Anxiety Can Marijuana Treat? More and more research proves that cannabis is beneficial for anxiety disorders. But weed does more than reduce general anxiety — marijuana also targets some of the major symptoms of social anxiety disorder. For people with an anxiety disorder, living under high amounts of stress is a daily reality. Depending on each person’s triggers and the degree of the disorder, their stress can be acute, episodic or chronic. Stress causes a host of other negative side effects, including digestive problems, fatigue, depression, irritability, chest pains, and negative thoughts. However, cannabis has been shown to reduce the levels of cortisol in your body. Cortisol is a hormone that reveals how much stress your body is under in any given moment — while high cortisol levels mean that your body is in high stress, low cortisol levels indicate a more subdued reaction. When treated with marijuana, the cortisol levels in patients noticeably dropped, indicating that their bodies were entering a more relaxed and stress-free state. Insomnia is a common, frustrating and stressful symptom of many anxiety disorders. However, marijuana could provide an answer to a chronic lack of sleep. In a 2015 study, a child suffering insomnia as a result of her anxiety was administered a CBD-high strain of marijuana. As the trial progressed, her sleep duration and quality drastically improved, along with a reduction in her overall feelings of anxiety. The defining symptom of an anxiety disorder is anxiousness. CBD, in particular, shows exciting potential as an anxiety-reducer. In one study, individuals who had SAD were given CBD. After treatment, they had increased blood flow to the cingulate cortex of the brain, which helps determine our interpretation of other people’s reactions. At the same time, blood flow to the hippocampus and parahippocampal gyrus was reduced, which are essential in the formation and recall of memory. All of these effects combined to reduce the overall anxiety of the patient. Marijuana is a holistic alternative to traditional anxiety medications without the typical side effects. However, some patients experience negative symptoms when taking medical cannabis. For some patients with anxiety disorders, marijuana can cause an increase in feelings of anxiety. Most often, this is because they use the wrong strain for their needs — THC can cause psychoactive effects that trigger anxiety. Alternatively, CBD carries all of the therapeutic benefits of marijuana without the risk of getting high, making it a better fit for most patients with anxiety. Hunger and thirst: The “munchies” and “cotton mouth” are common complaints after marijuana use. However, both symptoms are easily combatted by keeping healthy foods and drinks around you before and after you use medical cannabis. Short-term memory loss: Some patients experience short-term forgetfulness while under the influence of marijuana. To reduce any negative effects of memory loss, schedule your cannabis use around important, memory-requiring activities such as school or work. Respiratory issues: If you smoke or vape marijuana, you may develop respiratory issues after long-term use. To avoid damaging your lungs, try taking medical cannabis in another way, such as edibles or patches. Red eyes: Red eyes aren’t harmful, but it can create embarrassment or self-consciousness. To combat eye redness, you can invest in some over-the-counter eye drops to reduce any discoloration. 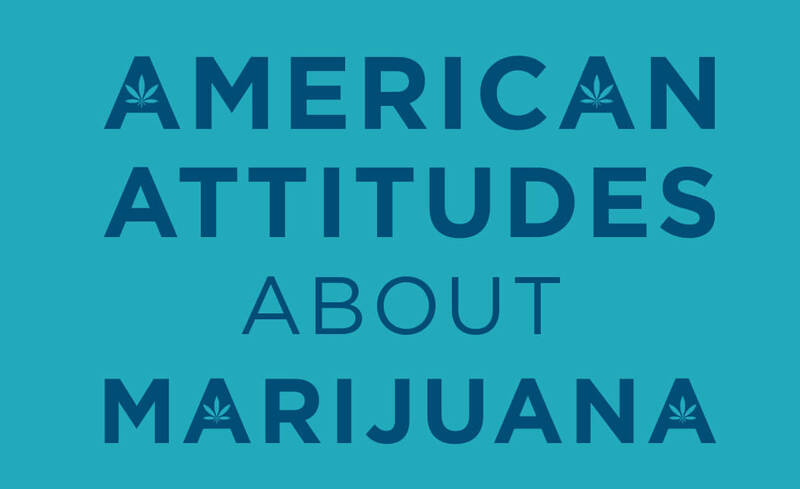 Ultimately, marijuana affects each person differently. We recommend consulting with a certified marijuana doctor as you experiment with different strains of cannabis — they can help you find the perfect plant that works for your specific needs and symptoms. When selecting a type of medical cannabis, look for a strain that suits your particular health needs. Every leaf has different properties and chemical compositions, creating a wide range of different effects. Marijuana comes in three types of strains — Sativa, Indica, and hybrids. The main difference between Sativa and Indica is in their cannabinoid content. While Sativa is high in THC, Indica has high amounts of CBD. For social anxiety disorder, most patients find success with Indica or Indica-dominant hybrids. Here are some specific strains of marijuana to help you begin your search. Critical Cure: Critical Cure is an Indica-dominant strain that reduces stress and has a slight sedative effect. This strain is perfect for SAD patients who want to reduce feelings of stress and anxiety. Granddaddy Purple: This hybrid Indica strain is known for its deeply relaxing effect, making it a favorite of patients with insomnia. Granddaddy Purple also creates feelings of euphoria, which is beneficial for patients with depression along with anxiety. Chocolate Chunk: Chocolate Chunk is 100 percent Indica and is known for creating deep, full-body relaxation. A highly potent strain, Chocolate Chunk only requires a small dose to be effective. Jack Herer: It isn’t usual to recommend a Sativa strain for anxiety disorders, but Jack Herer is the exception. Incredibly calming, Jack Herer gives patients a gentle sense of euphoria, allowing them to go about normal activities with reduced anxiety and stress. Northern Lights: Another full Indica strain, Northern Lights is known for helping patients sleep, relieving pain and reducing overall stress. Harlequin: Harlequin is an Indica-dominant hybrid with a small amount of Sativa. This small percentage of THC mitigates the sleepy effects of CBD, so Harlequin marijuana keeps you simultaneously alert and relaxed. For the best results, consult with your doctor and dispensary as you look for the cannabis that’s right for you. When most people think of marijuana use, they think about smoking a joint. However, you can consume medical cannabis using a wide range of methods, from edibles to topicals. Below, we’ve listed the most common ways to consume marijuana to get you started. Smoking: For both recreational and medicinal users, smoking is the most popular way to consume cannabis. But like smoking tobacco, smoking marijuana can harm your health in the long-term, producing tar and toxins as you inhale. Vaporizing: If you love smoking but want to protect your lungs, try vaping. When done correctly, vaping releases the chemical compounds in cannabis at a lower temperature than smoking, reducing the number of toxins entering your body. Topicals: Most topical applications are aimed at providing localized pain relief, using products such as salves, lotions, sprays, ointments, and creams. However, transdermal patches allow medical marijuana to enter your bloodstream, providing the effects of cannabis without damaging your lungs. Edibles: Another popular way to consume medical marijuana is through edible products. Edibles can give extended, gentler effects than smoking or topicals. While they take longer to kick in, edible products are an enjoyable and safe way to consume medical marijuana. Pure CBD: One way to consume marijuana is to take pure CBD, either through oils or pills. The appeal of pure CBD products is their similarity to traditional pharmaceuticals. If you are uncomfortable with the thought of other ways to consume cannabis, pure CBD could be an attractive option. The right way to consume marijuana depends on your individual diagnosis, symptoms, and preferences. Every person will react to weed differently — what may work for one person will not necessarily work for another. Social anxiety disorder can be frightening and frustrating. If you are interested in pursuing medical marijuana as a treatment option, MarijuanaDoctors.com is here to help. Browse our online directory of certified marijuana doctors to find a licensed physician near you. We also have an extensive list of professional dispensaries, so you can locate the closest and highest-quality facilities. Let us help you find relief — search for a qualified doctor and dispensary today.